Football on Boxing Day is sacred; it’s one of the fixtures that is checked by football fans up and down the country when the fixtures are released in mid-June. Fleetwood away on Boxing Day is the perfect place to blow the cobwebs away after an indulgent Christmas Day. Phil Parkinson made changes following the home draw with Scunthorpe as Andy Halliday came in for Billy Knott and James Hanson replaced the injured Billy Clarke. City started reasonably well in the first half, and both Hanson and Jon Stead had chances to open the scoring early on. Fleetwood steadily seemed to get more into the game, but they were restricted to a few pot shots that did not threaten the City goal, apart from one long range effort that flashed just over the bar. It was beginning to look like it would be even at half time, but then City made the breakthrough. A superb cross from Mark Yeates from the right found Hanson, who rose at the far post to head City in front sparking celebrations from the sold out sections of the City faithful. The Bantams were one up at half time! Fleetwood are a physical side and put it about a bit. James Meredith, in particular, was singled out in the second half for some attention, with two tackles which were industrial to say the least. The tackle by Fleetwood full back McLaughlin should have warranted a red card; but along with a number of other baffling decisions by the referee, only a yellow was produced. The tackle by McLaughlin was right in front of the dugouts and produced an angry response from City bench and rightly so. City had chances to kill the game off, with Stead going close with a header from another good Yeates cross, which the City fans were already celebrating until it dropped wide. Then Filip Morais, who was having an excellent game, shot over the bar from the edge of the box. It’s always a worry when games are poised at 1-0 when chances have not been taken, and a warning from Fleetwood came in guise of Proctor who beat Jordan Pickford with a 20 yard drive which thankfully came back off the post. This was probably the closest Fleetwood came all the day to a goal. Knott replaced Halliday after 70 minutes to give City a little more bite in midfield, and he was influential in City’s second goal in the 78 minute. He won the ball in midfield and played it to Stead who had worked his way wide. The cross from Stead across the box looked likely to be met by Knott who dummied the ball which presented an open goal for Morais at the far post who made no mistake. City 2-0 up, relief and wild celebrations in the City sections of Highbury! A worthy goal to win any match, queue the seasonal Jingle Bells chants! Oh what fun it is to see City win away! City had one more effort which could have made it three, the Fleetwood keeper was hassled leading to a wild clearance into midfield that was picked up by Jason Kennedy whose speculative shot dipped on to the bar. It was certainly unlucky. And that was that. 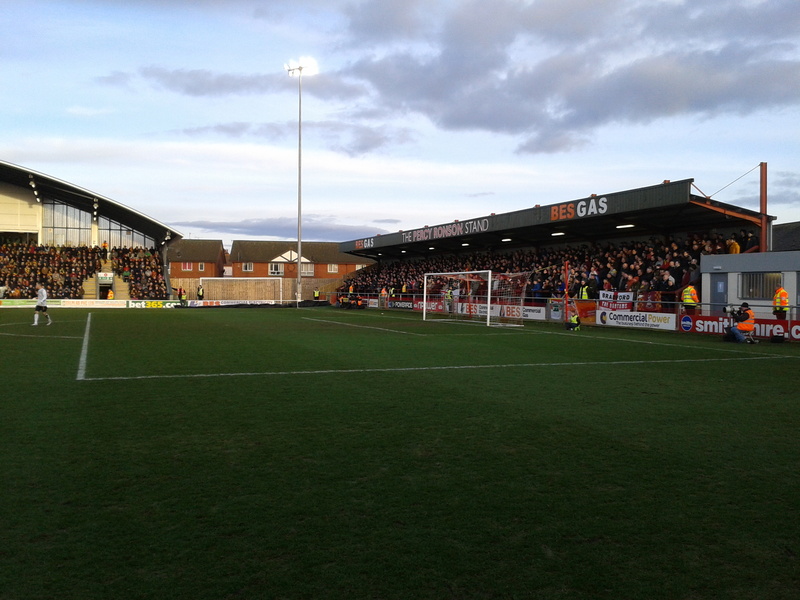 On paper Fleetwood was a tough proposition, but City’s solid performance, particularly in the second half, earned the three points and puts us in a great position leading up to the end of 2014 with an eight-match unbeaten run. Somewhat off topic, but today (December 27) marks Width of a Post’s third birthday. We posted the following message on Facebook earlier today. Three years ago on this day, Width of a Post was launched. 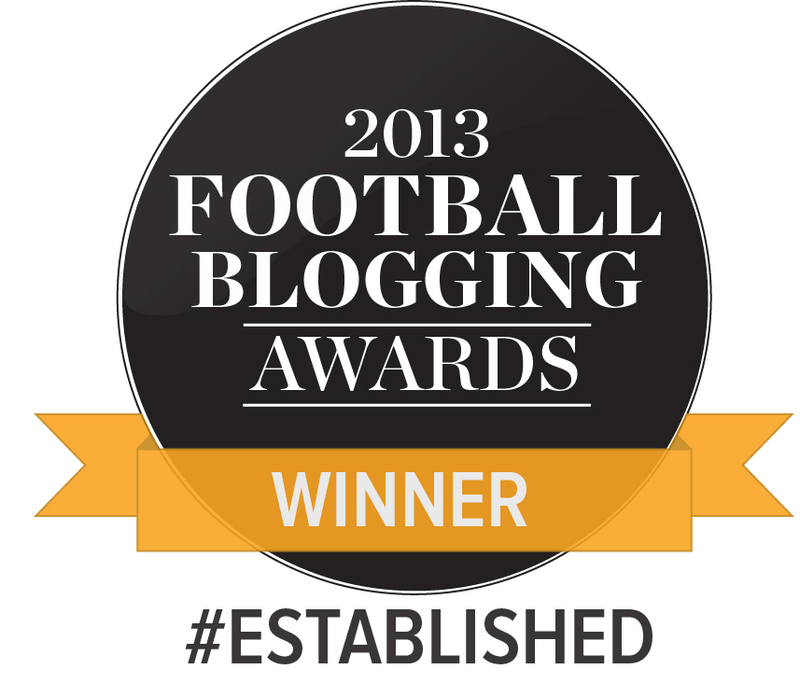 We’ve subsequently attracted 1.4 million hits; published 988 articles; covered the last 181 consecutive Bradford City league, cup and friendly matches; provide a platform to over 50 writers; interviewed the likes of Julian Rhodes, David Baldwin, Nathan Doyle, Jamie Lawrence and Michael Flynn; were named ‘Best Established Blog’ at the 2013 Football Blogging Awards; and reported on City’s rise from near the bottom of League Two to sitting 5th in League One, via Wembley twice. Thank you for all our readers for their ongoing support. We’ve had a blast and hope you’ve enjoyed it too. A great site and one much enjoyed each week here in New Zealand.